Think fast: do you know who’s your target audience? Most marketers would love to respond with a resounding “Yes!” or “Of course!” Unfortunately, many brands struggle when it comes time to define exactly who they’re trying to reach. The result? A marketing strategy that’s all over the place and an audience that’s not exactly engaged. Here’s some food for thought for those looking to grow their online presence in the form of followers or sales. Over one-third of the world population is active on social media. Meanwhile, ecommerce sales are projected to exceed $500 billion by 2020 and have been on the rise year-over-year. While these numbers signal just how many opportunities modern brands have to acquire followers and customers, it also clues us in on how stiff competition is for marketers. That’s exactly why honing on your target audience should be a top priority for brands in search of a truly effective marketing strategy. Brands live and die based on how well they know their audiences. When you have a strong pulse on your target audience and their needs, the task of marketing becomes exponentially easier. Arby’s is a shining example of a brand that’s managed to find their voice and attract a dedicated following despite being in a crowded market. Their nerdy content gets lots of love from their 3 million-plus Facebook followers and constant compliments about how their marketing team is killing it. The biggest mistake brands make when trying to attract new leads and followers is casting too wide of a net. When you try to appeal to everybody, nobody wins. Your marketing messages and content seem generic and you become another face in the crowd. Instead, marketers should strive to drill down their target audience, carving out specific niches and subsets of customers instead of taking a one-size-fits-all approach. Those marketers afraid of getting too specific with their target audience should consider how seemingly off-the-wall products and brands still manage to amass huge customer bases and follower counts. Also think about how brands like Barkbox have amassed well over 1.4 million Instagram followers and 2.7 million Facebook fans despite selling an extremely niche product. Seriously. A subscription box for dogs might sound ridiculous on paper, but the dedication of their following doesn’t lie. Regardless of what your brand is saying or selling, your target audience is out there. That said, it’s your responsibility to find them and figure out what makes them tick. Honing in on your audience doesn’t have to be like looking for a needle in a haystack. In fact, below we’ve broken down the most important steps to outlining your audience and connecting with them. To boil down what your target audience looks like, let’s start with another question: what does your ideal customer look like? Whether you’re in the planning phases of your next product or already have a following, you probably have a good assumption of your ideal customer. In other words, what is the sort of persona that your business is targeting? Who are the people your product was built for? The answer varies from business to business. Maybe your ideal customer is a millennial female looking to start a business. Perhaps it’s middle-class families looking to keep more money in their pockets. Once you understand these points, you can start coming up with the game plan of how you’re going to market to these specific personas. Painting a picture of your ideal customer may seem like an abstract exercise. However, understanding these points makes prospecting and marketing so much easier. This rings true whether we’re talking about coming up with a new blog post, tweet or even running ads on Facebook. Your brand should fill some sort of void in the lives of your ideal customers. Basing your marketing around solving your audience’s problems and empathizing their pain points is the ultimate way to grow your business. Let’s get meta. 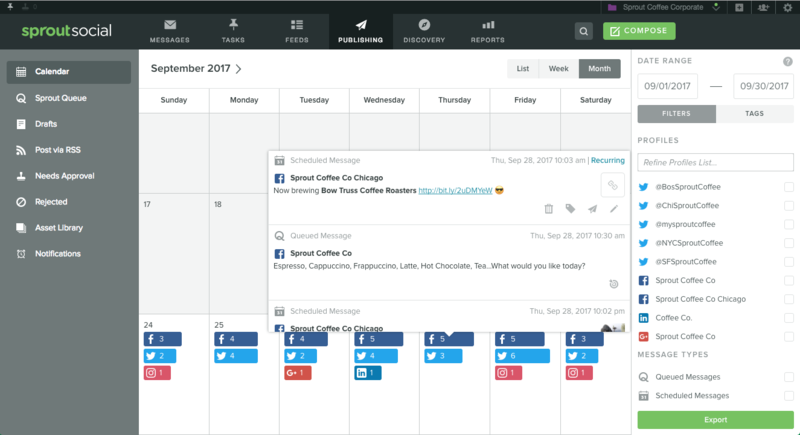 Sprout’s social scheduling tool helps our audience of business-owners and marketers who want to save time and become more organized. 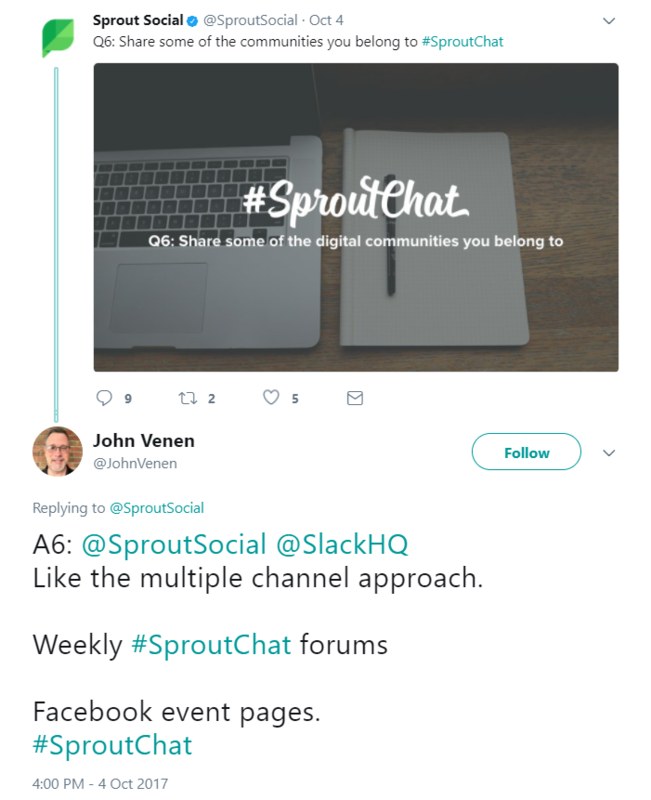 We understand the headaches involved with juggling multiple social accounts and Sprout’s solution is specifically designed to ease those pain points. Solving specific problems results in attracting a specific following. Especially if there are pain points that your competitors are missing out on, you have the opportunity to swoop in and be a savior to your target audience. Of course, you can’t fix your audience’s woes or determine how you can stand tall among your competitors until you’ve done your homework. Thankfully, researching the pains and fine details of your target audience is arguably easier than ever given the variety of avenues brands to interact with followers and customers. If you want to know what your target audience is buzzing about in real-time, there’s no better place to find out than social media. From trending topics to the types of content that’s getting the most “likes” and shares, you can see at a glance what’s on the minds of your customers. For example, analyzing hashtags is a helpful practice for trying to learn more about your ideal customer. Picking up on trending discussions, debates or new happenings provides you an opportunity to become part of the conversation. 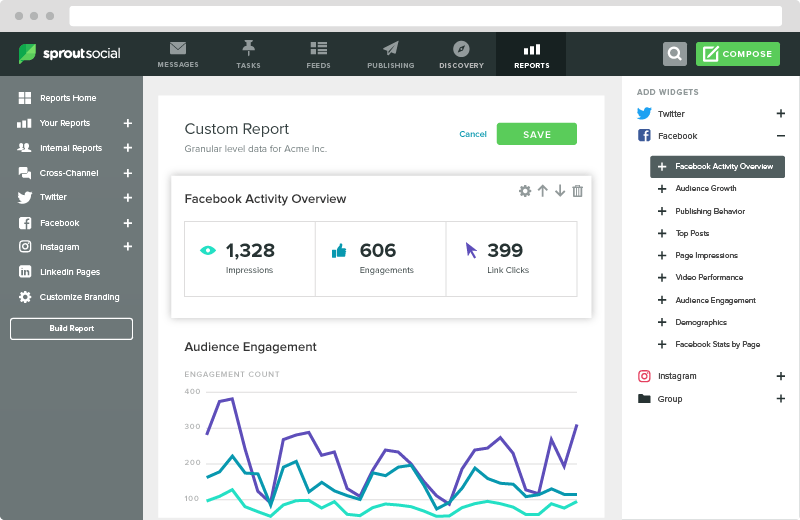 Figuring out where the bulk of your target audience is on social lets you know where to spend most of your own marketing efforts as well. After all, some brands focus exclusively on Facebook while others thrive on Instagram and Pinterest. 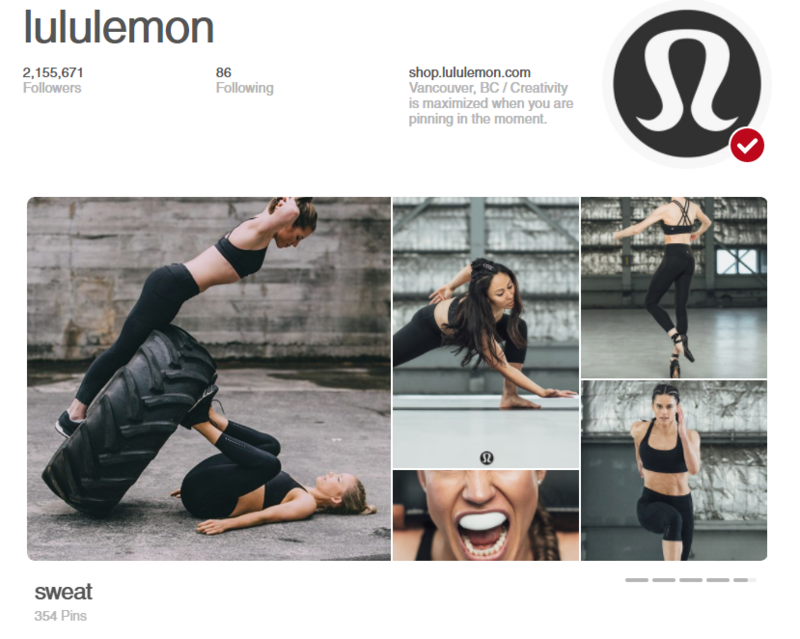 Brands such as LuLuLemon manage to absolutely dominate Pinterest with over 2 million followers because that’s where their fashion-focused audience is hanging out. Don’t neglect the power of asking questions. Picking the brains of your target audience can lead to insights that could influence your marketing strategy or the direction of your business at large. As an added bonus, asking questions signals your brand as a sort of helping hand. When you show that you’re concerned about your customers and industry, you stand out as a sort of “good guy” versus your competitors who might not be as attentive. If you already have a social following or email list, posting questions as part of your campaigns is a no-brainer. Questions lead to conversations and engagement, which in turn leads to a better understanding of your target audience. Another brilliant place to hunt for audience insight is Quora. 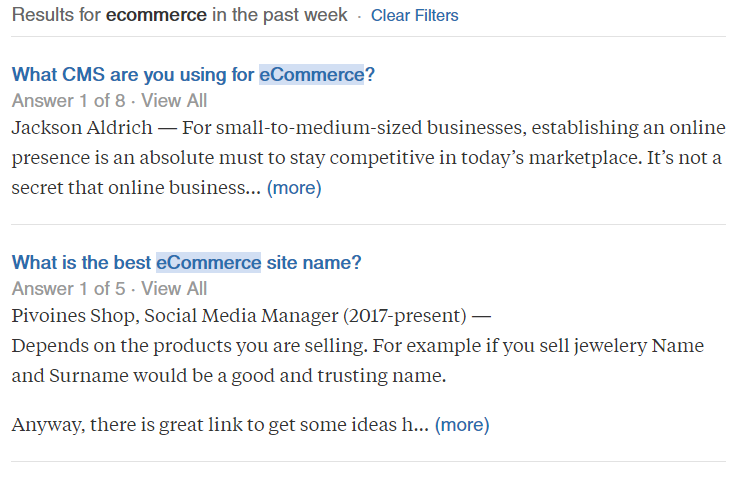 Through either answering questions yourself or looking at existing questions about your industry, Quora is a treasure trove of information. The need for data-driven marketing can’t be overstated. Keeping an eye on your analytics prevents you from making assumptions about your products, content and overall marketing strategy. By breaking down these points, you can create a content strategy that emphasizes your strengths in the eyes of your target audience. Figuring out how you can stand out among your competitors means conducting competitive analysis. The goal of this analysis isn’t to play copycat to your competition, but rather figure out weaknesses you can capitalize on. How often are your competitors posting and sharing content? What points of their products and services are they emphasizing in their marketing? Price point? Ease of use? Style? How does their content strategy compare to yours? Heavy social presence? Are they running ads? What’s the tone of their brand? Light-hearted? No-nonsense? 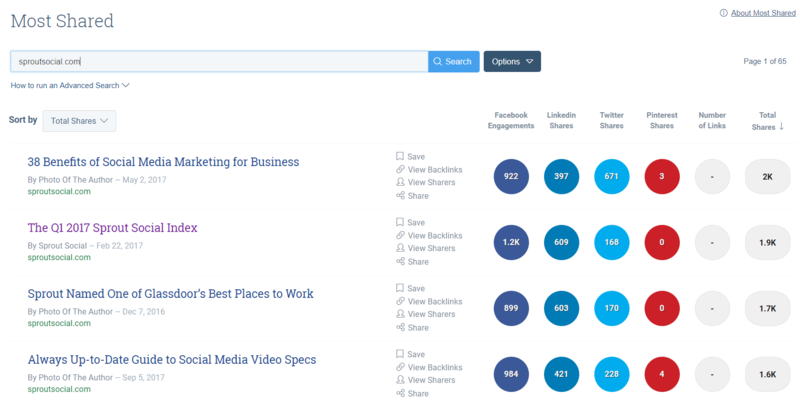 Additionally, tools like BuzzSumo can provide more specific insights such as your competition’s most popular content. Again, competitive analysis is meant to uncover ways for you to make your marketing and messaging something out of the ordinary. To bring our list full circle, remember that appealing to your target audience means understanding them both personally and by the numbers. Simply put, a combination of meaningful conversations and analytics leads to well-informed marketing decisions. From zeroing in on your audience’s pain points to revamping your marketing strategy to carve out your niche, brands today can’t afford to ignore the intricacies of their audiences. When you know these points like the back of your hand, finding new ways to encourage new followers and customers doesn’t have to feel like a guessing game. Brands should have total confidence in who they’re trying to reach and how they plan on doing so. By taking time to both research and tap into your target audience’s needs, marketers can craft campaigns and content that are perfect fits for their followers. So, what are you doing to get into the trenches with your audience? Do you feel that you know your ideal customer inside and out? Let us know in the comments below.